Rated to measure differential voltage up to 1,400 VDC + peak AC with high CMRR of >50 dB at 1 MHz. 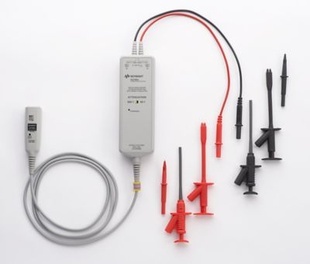 Use the N2790A 100-MHz high-voltage differential probe to make safe and accurate floating measurements with an oscilloscope. The N2790A probe allows conventional earth-grounded Keysight oscilloscopes to be used for floating signal measurements of up to 1,400 V of differential voltage and 1,000 V of common mode voltage. Thanks to its high bandwidth and excellent input-impedance characteristics, the probe can accurately measure up to 3.5 nsec of fast transient edges in modern switching power supplies. The probe is compatible with Keysight’s AutoProbe interface with 1 Mohm input where the probe’s power is supplied by the Keysight oscilloscope’s probe interface.